Copyright © 2018, SVJ Designs, LLC. All rights reserved. This is a Featured Theater! All "Second Generation" Digital Projection and Sound!!!! Have Your Birthday Parties Here! 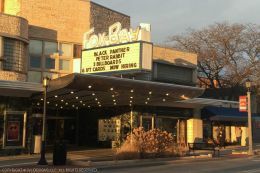 This movie theater is near Milwaukee, Brown Deer, River Hills, Glendale, Fox Point, Whitefish Bay, Bayside, Shorewood, Wauwatosa, Thiensville, Mequon.